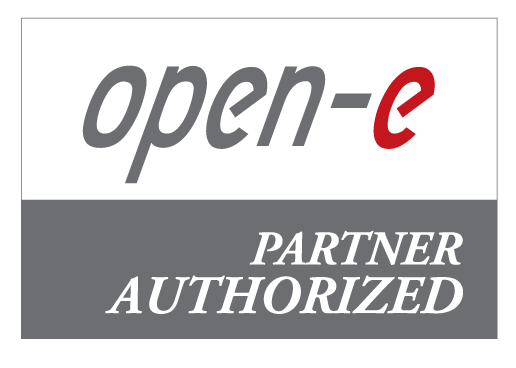 Open-E sell their products in over 100 countries around the world and customers include the largest multinational corporations like Orange, Philips and Bosch. First of all, we are a global company with an international, multicultural and diverse team of professionals who are the best in their fields. Thanks to them, we have a strong position in the industry and more than 17-year history of successes in the global IT market. Open-E DSS V7 provides superior performance, security, and scalability at a fraction of the cost of alternative storage offerings. Advanced features of Open-E DSS V7 include Data and Volume Replication, Volume Snapshot, Automatic Failover for iSCSI Volumes, WORM and NDMP. Additionally, Open-E DSS V7 supports a wide variety of hardware RAID platforms from the industry’s leading names. The versatility of the Open-E DSS V7 also allows users to combine NAS systems with iSCSI SAN systems, and provides built-in virus protection, while enabling the connection of multiple Network Interface Controllers, including Gigabit Ethernet, 10 Gigabit Ethernet, Fibre Channel and InfiniBand. Our SAN/NAS storage appliances deliver cost-effective storage consolidation for multi-server systems in a familiar networking environment. With the Open-E storage appliances you get flexibility and functionality. You can now change the order in which the routing rules are applied by changing their positions on the list, this is useful when you have several network interfaces in the same subnetwork. To improve the data throughput and latency, the Data Storage Software supports 10 GbE to increase bandwidth, improve overall performance, and reduce message latency across connections. The Open-E DSS V7 supports some 10GbE cards with TCP/IP. Open-E supports InfiniBand cards that increase bandwidth, improve overall performance, and reduce message latency across connections. While Open-E DSS V7 can work with multiple network interfaces, the default gateway can be selected. The Open-E DSS V7 provides a powerful tool for controlling the static routing settings. If the default routing isn't sufficient, this feature can be used to customize it. Open-E DSS V7 provides fault tolerance via synchronous NAS Volume Replication for NFS shares. Once configured, all data written to the primary server is mirrored to a secondary server. In the event the primary server fails, Open-E DSS V7 automatically switches operation to the secondary server. NFS locks are also reassigned on the secondary server after primary server fails. This functionality requires the purchase of a feature pack. With Open-E DSS V7 you are able to keep your data synchronized between servers on the LAN. With Open-E DSS V7 you are able to keep your data synchronized over long distances. Open-E DSS V7 features fast initial volume synchronization for volume replication.